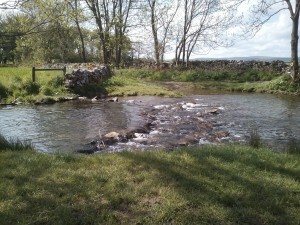 Our campsite is a small friendly site, ideal if you want to get away from the hustle and bustle of daily life to spend time in the gorgeous countryside of the Yorkshire Dales, on a traditional working farm which has been run for the last 40 years by Edward and myself Margaret Hird. We are just 1 mile our of the quaint village of Austwick which has a great local pub, essential I always think, and a shop/post office for those last minute supplies. In the area you are spoilt for things to do with the Lake District on the doorstep, many beautiful walks both for the rambler and the ambler, and a whole range of local towns, events and activities. The campsite has been here for around 30 years now and generations are still coming back year on year, which I think says it all.